The Terminator franchise has had its hardships over the years. In truth, it is a pity it is regarded as a franchise. The first film is a wonderfully grungy and taut action thriller with more than a little horror in its DNA (which I think goes unacknowledged too often) and the second film, my personal favourite, is this wonderfully bizarre mix of a fractured family drama and really pumped up action film. I struggle to think of action films with legitimate emotive content of such calibre. And then dross followed with Terminator 3 and Terminator: Salvation. It should have stayed a cinematic diptych. 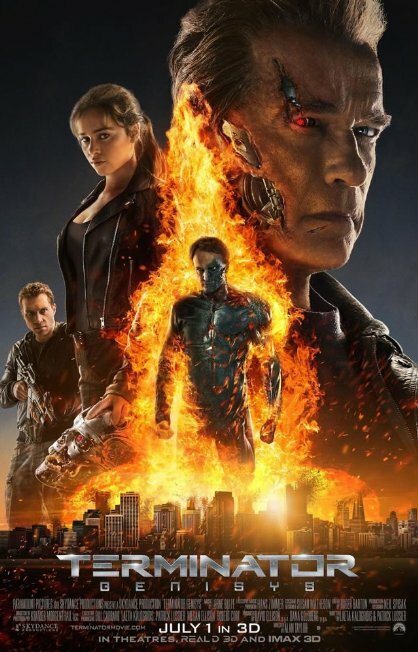 Terminator: Genisys is the latest attempt to reboot the property through the not illegitimate means of the timeline getting buggered once more. It certainly does not return to the sickeningly bland depths of the worst films in the series but nor does it approach the qualities of the first two. And the, although given some context in the story, is still crap. Ooo look, we misspelled ‘genesis’, aren’t we edgy? No. Emphatically not. The revisiting of the first film’s timeline (given much less prominence and time in the plot than the trailers imply, I must stress) is actually quite fun. The recreations of and playing with the old material is neat though it does set up the obvious problem of directly referencing better films and thus renders the awareness of its own shortcomings more poignant. 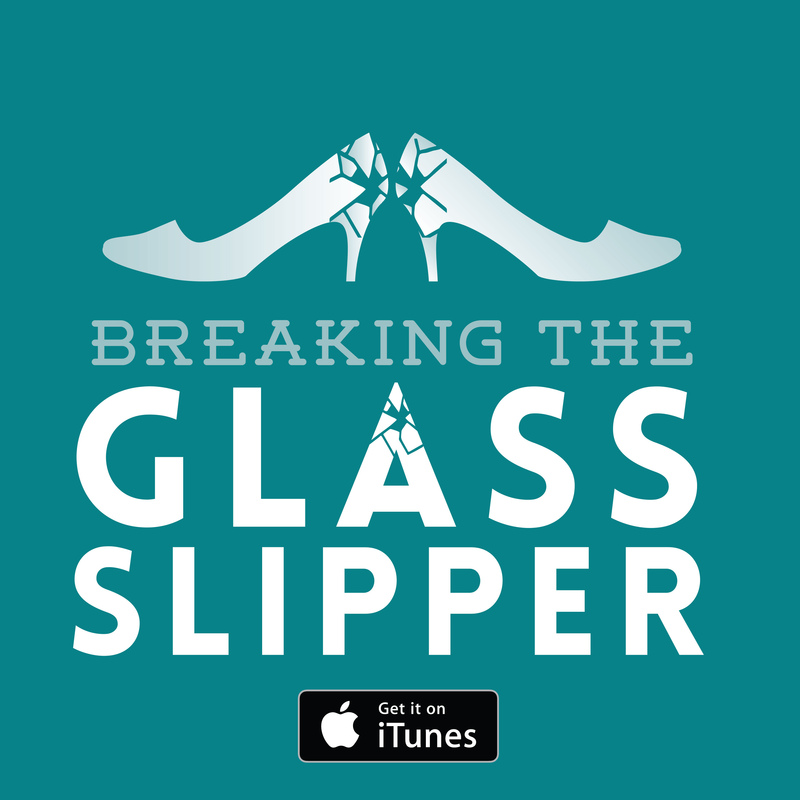 Given how quickly this is rushed through, it does feel a bit like an excuse to produce material for the trailer. In fact, the rapidity with which Genisys rockets through the original versus current Arnie concept and the return of the sinister T-1000 is indicative of a film that structurally is a bit of a mess. We get the exposition dump opening, the first act with the retro-appeal, a second exposition dump and the film essentially relaunches itself into a three act structure. From this point it is a jaunt to 2017 to try and take down Skynet before it launches itself on the universal OS ‘Genisys’ (hence the silly name). The first section does feel rather tacked on. 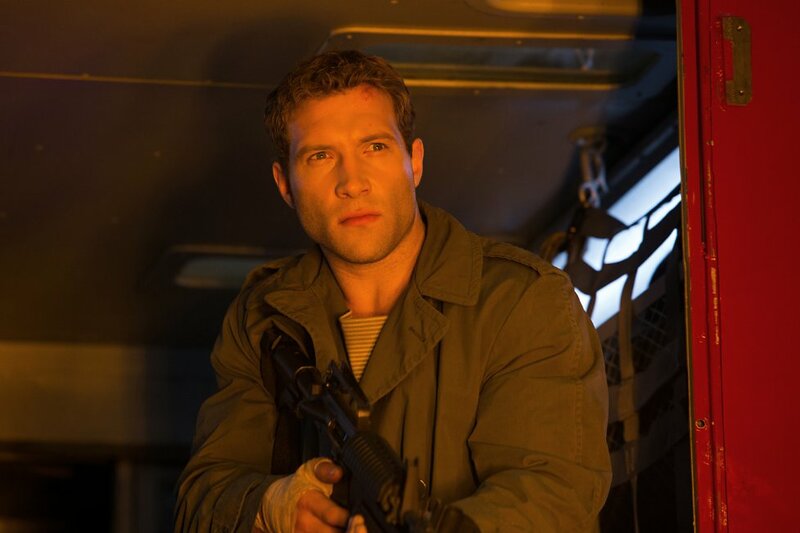 I wish I could say the allusions to the original were entirely inoffensive but, to be frank, Jai Courtney is no Michael Biehn as Kyle Reese. He was terrible in the last Die Hard and he’s as bad in this. Much like fellow countryman and Terminator alumnus Sam Worthington, he’s an actor who seems to only have one mode: boring meathead. If he has hidden depths, we don’t see them here. 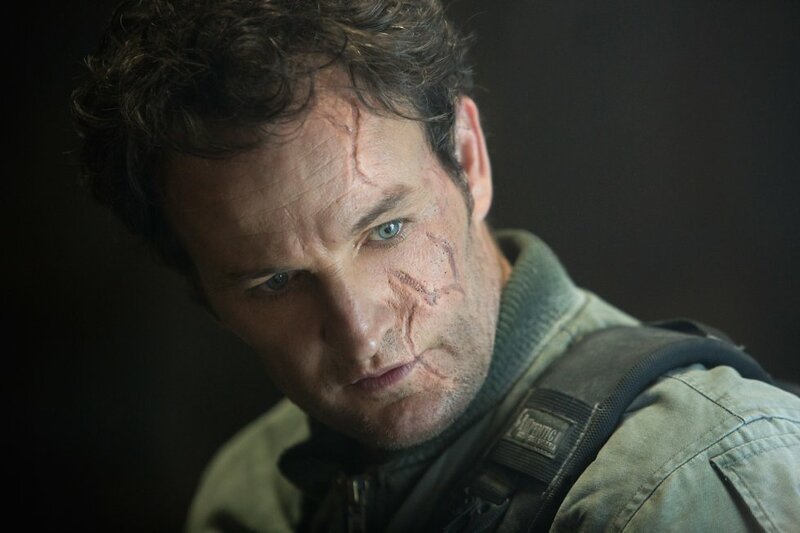 Jason Clarke is much better but I do wish they hadn’t ruined the twist with his character. It’s hard to tell if you could see it coming given it was in all the posters and trailers but he does alright. Of course the big two casting names are the ever-returning Arnie and Emilia Clarke of Game of Thrones fame. Schwarzenegger is exactly as you expect. His role is rather bland and more of a heritage element. He does a bit of comedy and a bit of robotic stoicism, and some robotic stoic comedy. Emilia Clarke can’t really match Linda Hamilton as Sarah Connor because we don’t get that marvellous u-turn from innocent and vulnerable young woman to psychotic warrior woman from the originals. No doubt that the material is very limiting in the first place (this film does not have a good script) but we don’t even get much of Clarke’s famed eyebrow acting. Her accent could use some work too. Oh, J K Simmons and Matt Smith turn up in this. That was a nice surprise. The fact is, once you strip away a lot of the novelty and gimmicks that the series’ heritage has been reduced to at this point, the film is a fairly bland and conventional action flick with a bad script. The audience is not trusted to remember things in this rather dumb film. The number of times certain plot elements are repeated is insulting: we get it, the main bad guy is weak to magnets and you’ve set up the device that will kill him several times now – enough already! In the film’s defence, the action is crisp and clean. Alan Taylor is not a director who clutters up his set pieces or uses shaky cam to make them indecipherable. If you wanted nothing more than a well choreographed and explosive action thriller, you’d get your money’s worth. But can’t we ask more from a Terminator film? 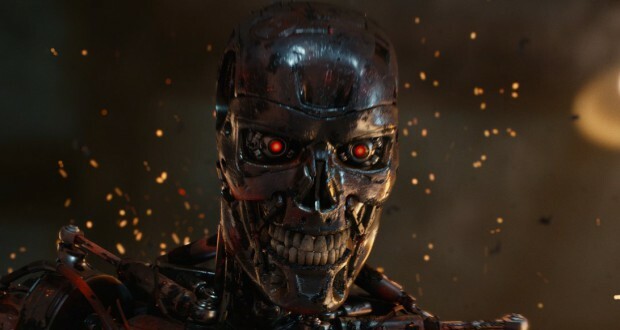 It never descends into the levels of boring monotony of the worst films in the franchise, partly through a certain sense of detectable glee when exhibiting the Terminators old and new, but this is not a film of substance. Hopefully the franchise won’t be back. Verdict: If this weren’t a Terminator film, it would be a quickly forgettable action film going straight to DVD. It is cruising on nostalgia value.